We had a great time at the convention. 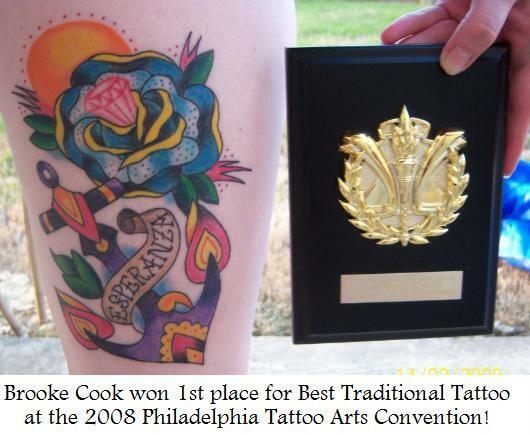 Brooke won first place in best tradional tattoo. Ryan got a portrait of Bob Tyrrell by Bob Tyrrell. Thanks to Tattooed Kingpin, Rob, Jenny, and everyone else at the convention.